Hello, and welcome to Out About Scotland, your guide to the best attractions in Scotland! This site has been created with one purpose in mind – to help you find the very best Scottish attractions. My mission is to provide you with all the information you need to find places to visit in Scotland and give you lots of ideas for amazing experiences to enjoy while you’re here. 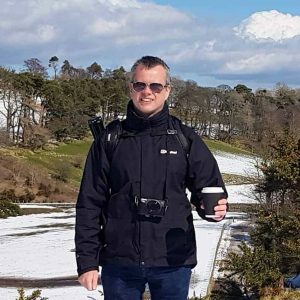 I’m Craig, an Englishman who somehow found himself living in Edinburgh many years ago, and I’ve spent most of my time since then exploring this amazing country. I started outaboutscotland.com after becoming fed up with trying to find fun things to do in Scotland but then becoming confused by the huge amount of information on the internet. I found that an internet search for tourist attractions in Scotland brings up a dozen or more search results, and choosing one to visit means you have to trawl through each website to discover the location, entrance costs and details on what it’s all about. While there are a few sites out there that try to give you some of this information they’re generally badly designed, with tourist attractions added almost as an afterthought, so I figured I could do better myself. Due to the fact that I’ve travelled so much around Scotland I’ve got the experience and knowledge to share the very best Scottish tourist attractions with you, and I promise that I’ve personally visited each featured attraction myself so my reviews are genuine. And unlike some of the large corporate travel sites I can also show you all the little hidden-away gems that are off the standard tourist trails. On the front page you’ll find tourist attractions in Scotland listed by region and category, and an interactive map will help you see where each attraction is located. There are also handy links to a route planner, weather information, travel information, itineraries and walking maps, and there’s even a calendar of Scottish events that are held throughout the year. And to give you the best glimpse into what each attraction is like before you make the journey you’ll find a 360° virtual tour as well as a YouTube video on each attraction info page. Thanks for stopping by, and happy exploring!